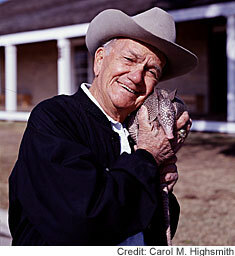 President Bush has frequently vacationed at his Prairie Chapel Ranch near Crawford. Like former President Ronald Reagan at his Western White House, Bush relaxes by clearing brush. On the January day that he becomes our former president, or soon thereafter, George W. Bush and his wife, Laura, will leave Washington for their ranch near tiny Crawford, Texas, outside the city of Waco. By some accounts, the Bushes are pining for that day, not just out of relief after eight years of crushing responsibility, but also because they “just love the place to pieces,” as exuberant Texans would say. Love it beyond reason, it can seem to others, since Texas is home to killer bees, biting red ants, ill-tempered rattlesnakes, flying cockroaches the size of dirigibles, raging blizzards, blinding dust storms, a coastline routinely mauled by hurricanes, thorny cacti, smelly oil and gas refineries, and entire counties where temperatures average 37 degrees Celsius for two or three straight months each summer. They topped 38 degrees 10 days in a row one year that I lived in Texas, and “I like to have died,” as Texans and southerners sometimes say. Yes, yes, it was “dry heat” up by the Oklahoma line, but Texas endures sponge-wringing humidity anywhere south of San Antonio (or San Antone, as old cowboy-movie heroes liked to call it). And the cuisine is even hotter. Who wouldn’t hurry back to such a place!? American settlers in the Mexican state of Texas turned the old, limestone Alamo mission into a fortress where they made a heroic but fatal stand for independence in 1836. 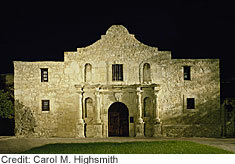 The people of this state were called “Texians” back in 1836, when 200 or so besieged Texans died inside the Alamo mission in San Antonio fighting the 5,000-man army of Mexican general Antonio López de Santa Anna. That heroic, though doomed, standoff helped spur the region’s ultimately successful war of independence from Mexico. Texas’s nine-year run as a republic before it decided to join the United States in 1845 still resonates in the Texan character and feeds an almost nationalistic pride you’ll find in those parts. To this day, Texans have a remarkable ability to tune out the drawbacks and latch onto what’s enviable about their whopping state. Burgeoning Houston, the nation’s corporate energy capital, has bounced back from many devastating recessions in the oil economy. It also features the world’s largest medical center. 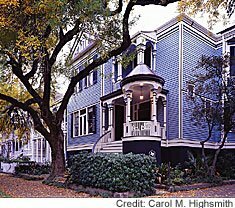 This was easier once, before cities like Dallas and Houston exploded into clusters of gaudy skyscrapers. And it was easier to find Texas charm before the state capital of Austin turned into a trendy technology and nightclub scene, and before Texas went nuts building superhighways. More about that in a bit. West Texas is hot and dry in the summer and endures fierce blizzards each winter. And as you see, it can be unforgiving to humans and beasts alike. Texas is big enough by any measure. Enter it at Port Arthur on Interstate Highway 10 at the Louisiana border and head to El Paso, which is stuck between Mexico and New Mexico way out west – way out west – and you’ll pass 828 mile-markers. Again, that’s 828 separate mileposts on the same highway in the same state – 1,333 mind-numbing kilometers from the first to the last. Funny, though. Despite Texans’ fondness for welding first and middle names into a single identity, I don’t remember seeing “Big Jim Bob’s” or “Big Janie Sue’s” in my Texas travels. Journalist and fiction writer Pete Hamill once observed, “There is a growing feeling that perhaps Texas is really another country, a place where the skies, the disasters, the diamonds, the politicians, the women, the fortunes, the football players and the murders are all bigger than anywhere else.” But what does he know? Hamill is from Brooklyn. 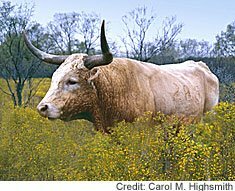 Breeders did not fashion the exotic longhorn. The breed developed on its own in rugged territory. 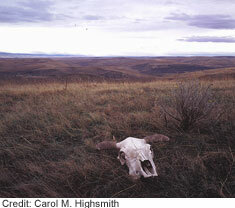 Crossbreeding nearly wiped out the species, but longhorns are now carefully preserved. The big goes on in bid’ness deals, as Texans call them, in gushers of oil, lumbering longhorn cattle, and at the nation’s biggest state capitol building. And soon you can add the biggest room without columns in the world: the new Dallas Cowboys’ football stadium, which will seat 100,000 people for certain events. Like the ’Boys’ current home, Texas Stadium, it will have a hole in the roof “so God can watch his favorite team.” Texas brag. Now let me tell you about what, in the words of the Associated Press, “sounds like another tall tale told by a Texan.” The state has embarked on an audacious project to build superhighways so big and so complex “that they will make ordinary interstates look like cow paths.” Here’s just how adventuresome and outrageous one of these roads, the new Trans-Texas Corridor from the Mexican border all the way north to Oklahoma, is projected to be: Picture a concrete ribbon as wide as five soccer fields, with extra lanes just for trucks and freight trains and commuter rail. The plan even sets aside space along the road for oil and gas pipelines and broadband voice and data cables. Allow me to reiterate the width of this blacktop beast: five soccer fields. Driving along, will one even be able to see the houses and barns on the other side of the road? Pickup trucks have been a part of the fabric of life in the American Southwest – and especially in Texas – for a long time. What you almost certainly will see when that mega-highway gets built are lots of pickup trucks. Even though more Texans are city slickers than cowpokes these days, they love their pickups. Each year – at least in the years before the current national financial unpleasantness – they bought more than 300,000 of these small trucks with enclosed cabs and flat, open beds in back. Japanese automaker Toyota even opened a production plant in San Antonio with an annual production capacity of 200,000 heavy-duty Tundra pickups. But in the face of record gasoline-price rises and sluggish demand for gas-guzzlers, even in pedal-to-the-metal Texas, Toyota cut the output sharply. Still, out in the Back 40 – a term I’ll explain in Wild Words below – Texans still haul a lot of barbed-wire fencing, hay bales, bags of unshucked pecans, and hunting dogs. Friendly, indeed. “Texas” traces to Tejas, a Choctaw Indian word meaning “friend” or “friendship.” Texans touring New York or L.A., or Djibouti for that matter, might be detected by the trace of a twang, but they’re even more readily spotted by their outgoing nature. Texans practically own the “howdy” word, accompanying it with a crushing handshake and a hearty slap on the back. For a century now, “Howdy” has been the official greeting among “Aggies” at Texas A&M University in College Station. 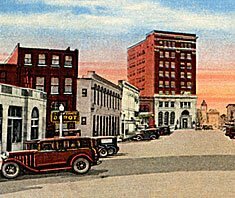 Down at the end of Texarkana’s Stateline Avenue, shown here in a historic postcard, a federal post office and courthouse straddles Texas and Arkansas. So do lots of tourists, for their vacation photographs. Well, maybe it’s not so easy to tell when you’re one place in Texas. Up in the northeast corner, the city of Texarkana is actually a twin of another city in Arkansas, also called Texarkana, which butts right up against it along Stateline Avenue. They’ve even drawn the state line down the middle of the post office and federal building used by both towns. Upstairs, the judge’s chair is bolted to the floor so he or she is always sitting in two states. Texarkansans consider it all one place, where eight railroads and four U.S. highways once converged. Yet the “beer joint” side of town, where it’s legal to sell liquor, wine, and beer, is “wet.” And the other side is “dry.” Shockingly, given the state’s saloon-and-gunfighter image, the dry side is in Texas. Tejas. Friendship. As the song goes, Texans are at “home on the range,” where “seldom is heard a discouraging word.” Their history of relentless entrepreneurship would confirm that Texans are doers. Work now. Work hard. Talk later. After, all, on the open range, far from town, neighbors still need each other’s help stringing fences, raising barns, or mounting posses to chase outlaws. (Well, maybe not the outlaw part so much any more.) Water, long before oil, was precious, and when a stranger stopped at your well after a long, hard ride, you welcomed him and offered a meal. Glad to help. No questions asked. Nothing expected in return. Texans knew all about “diversity” before it became a buzzword. The flags of six nations, including France, Spain, Mexico, the brief American southern confederacy, and, for nine years ending in 1845, a sovereign Republic of Texas, have flown over the land. The state and the Dallas football team get their Lone Star symbols – and Texas its nickname – from the star on the Texas Republic’s flag. At one time in Texas, one could count 25 distinct tribes of American Indians, including fierce Comanche and Apache raiders, as well as thousands of African slaves. “Seminole Negroes,” the product of escaped black slaves and renegade Seminole Indians who hid together in Florida swamps and later settled in Texas and Oklahoma, became legendary scouts for the U.S. Army during the western Indian Wars of the late 1800s. When Anthony Lucas, an Austrian-born mining engineer, struck oil on Spindletop Hill, the gusher spewed for nine days until the well was capped. 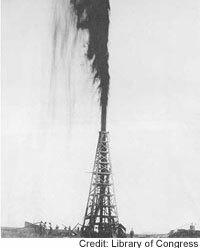 The “discovery” of oil with the eruption of the 60-meter-high Lucas gusher, at the Spindletop oil field near Beaumont on January 10, 1901 at 10:30 a.m., turned Texas into a boom state and changed it forever. I put “discovery” in quotation marks because oil had lain in plain sight in pools, under the very noses of Texans, for decades. Indians used it for potions, and it annoyed settlers who, searching for water, had to drill through it. But “black gold” would bring fortune, international fame, and larger-than-life characters to cities like Dallas and Houston, which became shooting stars in the exploding Sunbelt. 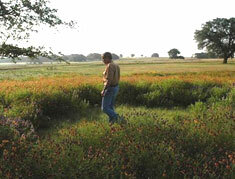 Each spring, “bluebonnet trails” in Central Texas attract thousands of wildflower enthusiasts. The flower (or its cousin) also pops up in a cheery red in some places. One could certainly carve up Texas on a map the way we draw the cuts of meat on a steer: piney woods in the humid northeast, tallgrass prairies along the Oklahoma border, flatlands and mesquite-scrub plains west of the Pecos River and in the “Panhandle” that reaches northward to the Colorado Rockies, enchanting hills ablaze with bluebonnets each spring in the hills around San Antonio, Louisiana-like bayous to the southeast, brush country and vast rangeland in far-south Texas. Wichita Falls is a military town (Sheppard Air Force Base) – kind of down on its luck andrough around the edges – but God-fearing. Lubbock, to the west, may have the most churches per capita in the nation, and Houston the largest church, but Wichita Falls holds its own with the Lord. Its nickname is “The City That Faith Built.” And it’s a good thing, since some of the meanest tornadoes in U.S. history have dipped out of roiling black clouds to level parts of the town. One twister in 1979 left 20,000 people – one-fifth of the city’s population – homeless. When I lived there in the 1960s, we got only hot, relentless winds from the west, carrying what seemed like half of the Panhandle’s gritty soil. These red-dust “blows” turned our car and house and hair a hideous salmon hue. Wichita Falls was also the first and last place in my life where a fist-sized tarantula spider walked across my kitchen counter. 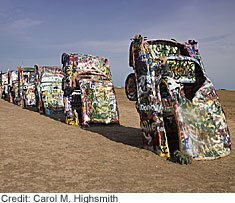 A quirky sight on the Cadillac Ranch along historic U.S. Highway 66 near Amarillo is a graffiti artists’ delight called the “Ant Farm.” Beyond it is nothing but Panhandle flat land. A quick word about the Texas Panhandle. As big as the entire state of Indiana, it remains unabashed cowboy country. Cowboy hats, trophy belts, and boots are as thick as grasshoppers in Amarillo. In the logo of the city that calls itself the “Real Texas,” two boots take the place of the double-L’s in Amarillo’s name. And little wonder: In 1893, its population was officially listed as “between 500-600 humans and 50,000 head of cattle.” One-fourth of the nation’s beef is shipped from Amarillo, and at the city’s Big (what else?) Texan steakhouse, diners eat free if they can finish a two-kilogram steak the size of a small roast, plus bread, a salad, and a small dessert in an hour. 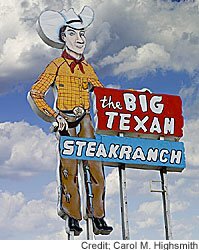 The historic sign outside, and the steaks inside, the Big Texan in Amarillo live up to the name. Almost no one succeeds. I’m a big guy, was plenty hungry, and had deliberately skipped lunch the day I gave it a shot. I got about halfway through the hunk of steer before capitulating with a groan. It was little comfort to learn that it’s little old grandmothers and tiny young women, mostly, who have polished off the whole slab of meat. My internist will have to explain that one to me. So the Panhandle is cowboy-real. For cowboy chic, you’ll need to hit Dallas or Austin or the Fort Worth line-dancing clubs I mentioned a couple of posts ago. The only similarities between today’s edgy, pulsating “alternative cowboy” music and the gentle old western yodels of Gene Autry or the Sons of the Pioneers are the boots and hats. 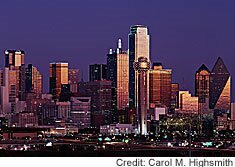 Shimmering Dallas is the economic hub of a 12-county “Metroplex” that also includes the legendary “cow town” of Fort Worth, about which I wrote a while back. Today’s Texas cowboys have plenty of company when they get to town. 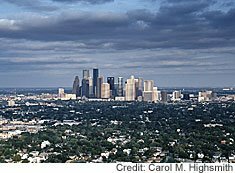 Six of America’s top-20 cities are now in Texas: Houston (4), San Antonio (8), Dallas (9), Austin (16), Fort Worth (18), and El Paso (20). And three of them – Houston, San Antonio, and El Paso – regularly rank among the nation’s fattest cities as rated by Men’s Fitness and other magazines. They have large Latino populations for whom homemade tamales and enchiladas prepared in lard and covered in cheese and rich, fatty gravy are everyday, irresistible fare. Irresistible to gringos, too, I can attest. And there’s a paucity of public parks for exercise. Little wonder: these are stifling-hot places where a “run in the park” has a great deal less appeal than a brisk trot through the Boston Common. The River Walk provides a respite for conventioneers. A full story beneath street level, the enclave was created over several decades along the San Antonio River. 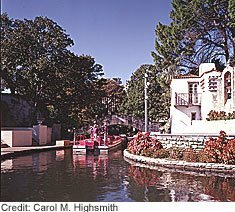 The beautifully shaded River Walk, San Antonio’s biggest attraction save for the historic Alamo, looks like the ideal, relatively cool strolling paradise at which to get some weight off. But it’s more of a fairyland – a Venice of the American West – festooned with lounge chairs and umbrellas. 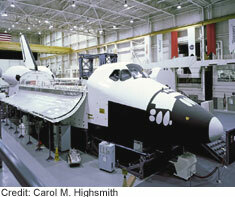 Space Center Houston is a showcase for America’s space program. This interactive visitor center for NASA’s Johnson Space Center includes this shuttle mock-up. including prickly pear margaritas made from the fermented juice of the cactus pear. In times like these, who wants to jog? Texas leads the nation in oil, beef, and cotton production. And you surely know about its vital role in the space industry: doesn’t every astronaut’s call from space begin with “Houston . . . .”? Look under “Texas crops,” and you can hardly see an end to the list: Beets. Spinach. Oranges. Pistachio nuts. Marijuana. (Just checking to see if you’re still with me.) 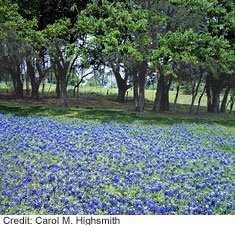 Texas has more floral varieties than any other state, and a greater assortment of reptiles than anywhere else in the land. That brings me back to my friend Bob, who grumps, “They’ve commercialized everything in Texas. Stop! Don’t write to remind me that armadillos are not reptiles. They’re homely little mammals with pointy snouts and leathery skin. 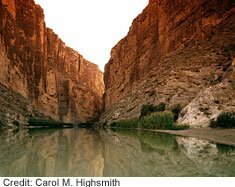 Big Bend National Park includes the most scenic portion of the Rio Grande River, which forms more than 1,500 kilometers of the border between Mexico and the United States. Lady Bird Johnson could not wait to get home to the LBJ Ranch on the Pedernales River down hill-country way, it can be noted that Texas has not a single snow-covered peak, no incredible waterfalls, no rain forest or particularly memorable babbling mountain stream. There are striking red-rock canyons down along the Rio Grande River in Big Bend National Park, but that’s forever from anywhere. 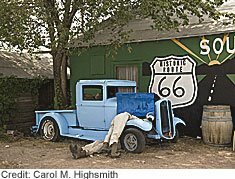 Carol and I found it once and photographed it, and I think we’re still paying for the gasoline it took to get there. No doubt the Bushes and the Johnsons, and even my friend Blachly when he’s in a better mood, have been drawn not to the grandiosity of Texas, but to its “small packages,” as photographer George Oxford Miller wrote in 1991. 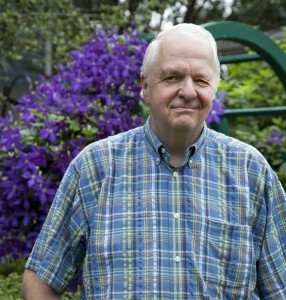 He found “fields of flowers unblemished by footprints, air unadulterated with human additives, stars undimmed by city lights, and the uninterrupted sounds of nature.” Simple pleasures in a brash, beautiful – and big – place. Did you ever read a Zane Grey western novel or see an American western movie? What impressions did it leave? “I like your blog. I also like to make blog but I don’t know some technic to make a nice blog like yours. So, would you like to show me some technic. Keep those questions and suggestions coming! Back 40. Undeveloped land next to a cultivated spread. The “40” refers to acres, though the actual size is often smaller or larger. Why 40 acres – about 16 hectares? The use of that figure may trace to the “40 acres and a mule” promised to freed African-American slaves at the end of the U.S. Civil War of the 1860s. Very few former slaves ever got such land or mules. Dirigibles. Slow-moving, lighter-than-air craft filled with a lifting gas and steered by rudders and small propellers. Those without skeletal frameworks are called “blimps.” Rigid, hydrogen-filled airships such as the massive Zeppelins of the mid-20th century all but disappeared following several terrible explosions. Today’s dirigibles are filled with inert helium gas. Festooned. Lavishly decorated. The word traces to the noun festoon: a garland of leaves or flowers. So if you want to literally festoon something, string a pretty chain of petunias or pine branches along it. Paucity. A scarcity. Usually people understand you better if you just say you don’t have very many of something. Posse. A group of citizens called together, usually by the local sheriff, for a common cause like chasing down desperados on the run. The word derives from the common English law posse comitatus, or the right to conscript male citizens 18 years and older to assist in keeping the peace. Thanks for the nice words. Please do stay with me!